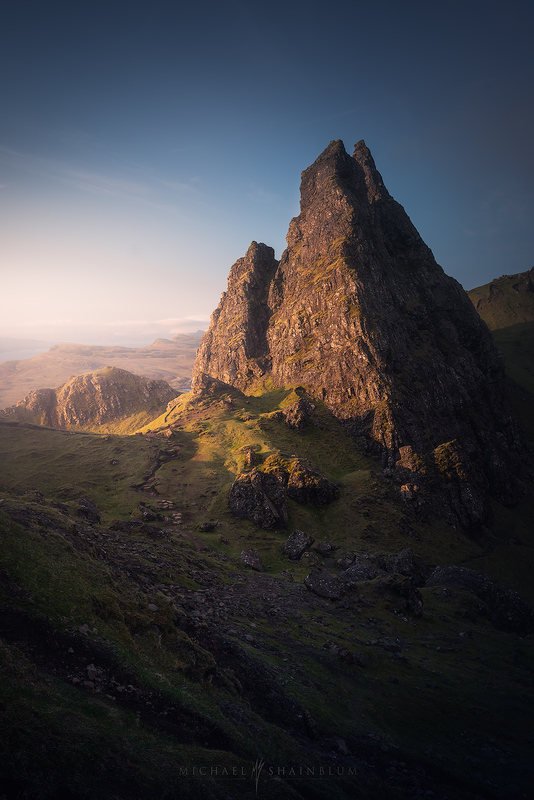 I was able to take an incredible photography adventure to one of my bucket list locations, the Isle of Skye in Scotland. This area feels like it was plucked straight out of a fantasy. 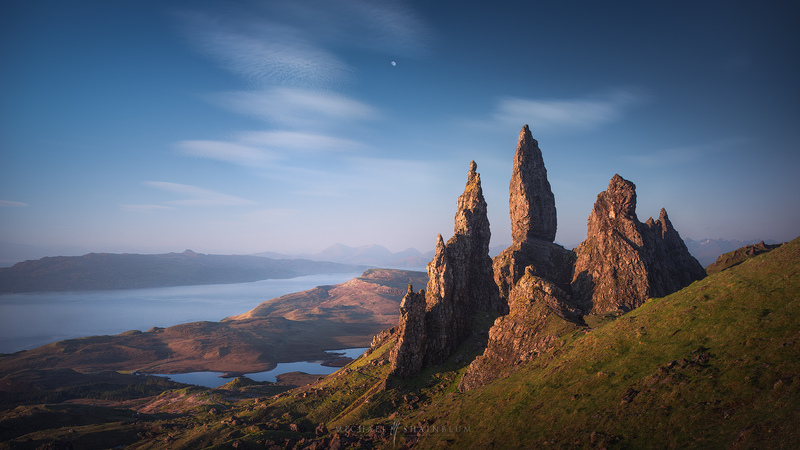 The sense of reality is hard to grasp while gazing up at these giant rock spires. It was a quick and memorable trip with some interesting weather conditions. This magnificent place is so far beyond what I expected from seeing images and videos. It is one of those places that deserves witnessing with your own eyes. I want to give a huge thanks to my friends at Photo Pills for supporting the trip and helping me plan out my shots! Some mornings are almost too surreal to put into words. It was looking like a pretty foggy grey morning, until out of nowhere the sun burst through the fog, spilling incredible light across the landscape. I had my friend Rafa stand on the opposite ledge to give a sense of scale and adventure. 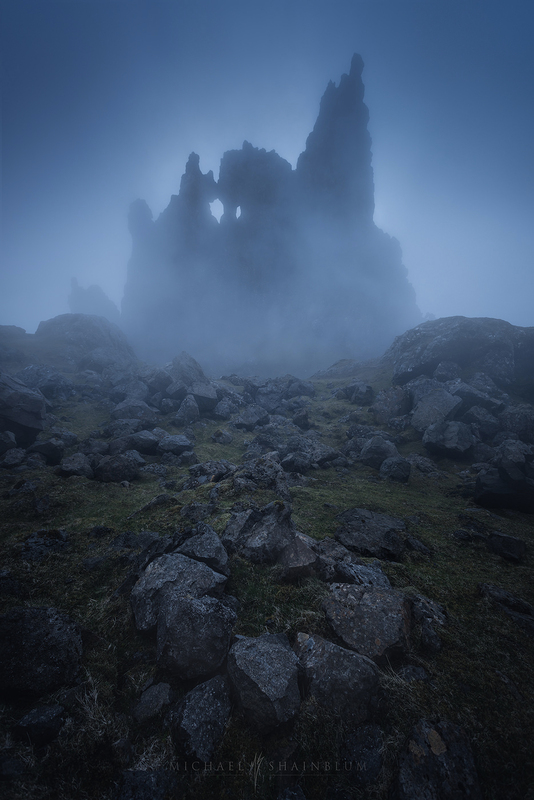 This image was taken at the Quiraing. 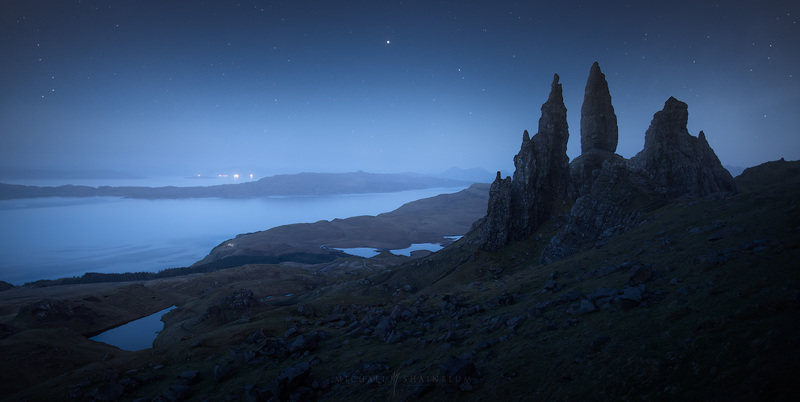 Another beautiful spot on the Isle of Skye. 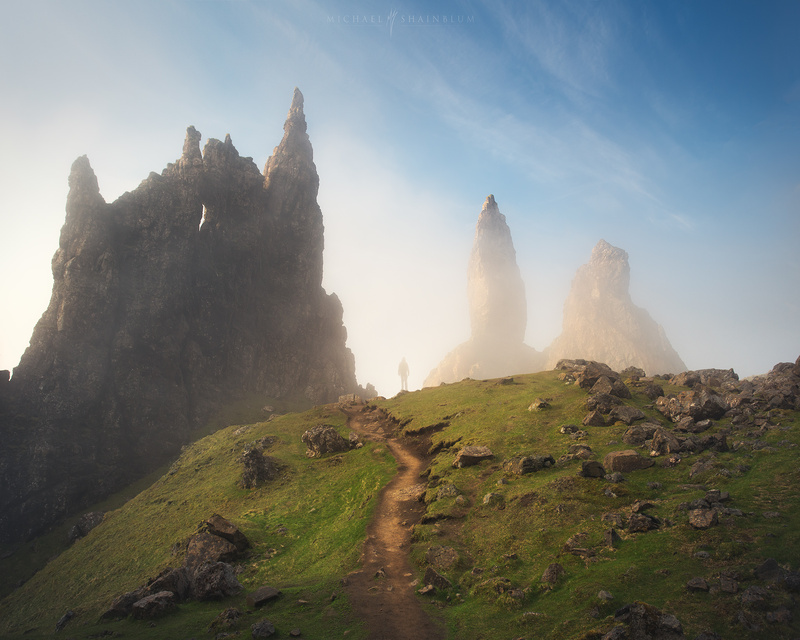 With the beautiful bank of fog pouring over the cliffs, this image quickly became one of my favorite Scotland photos. On this morning a large bank of fog engulfed the entire landscape. Giant gusts of wind nearly knocked my tripod and myself over. 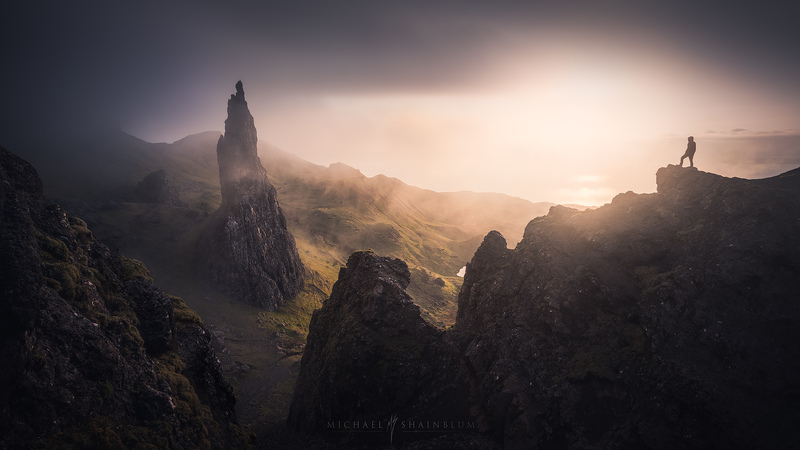 It was looking like a very grey sunrise, until the clouds broke apart, revealing some beautiful light on the stone monoliths. I took this self portrait with a timer remote after weighing down my tripod. Again special thanks to the team at Photo Pills for the support on this trip. It has quickly become my favorite app for planning sun direction, moon direction, milky way alignment and more. 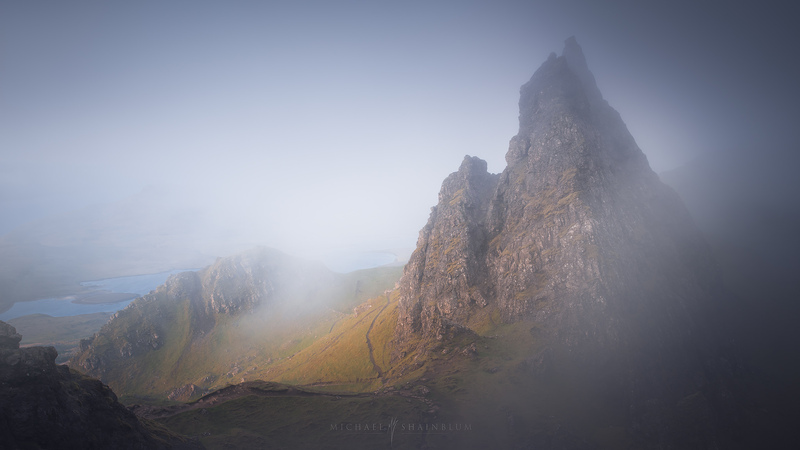 Amazing images again Michael, really love looking through your galleries! i really can’t get enough of your work!!! i am such a fan of you and i am totally looking forward to travelling around the world like you do and taking pictures/drone shots like these!!! You are such an insperation!! love it. Bro those images are really nice and I am nature lover and you are really great. I also want to explore the world like you and capture mesmerizing beauty of the nature. Oh my god! Awesome pictures! 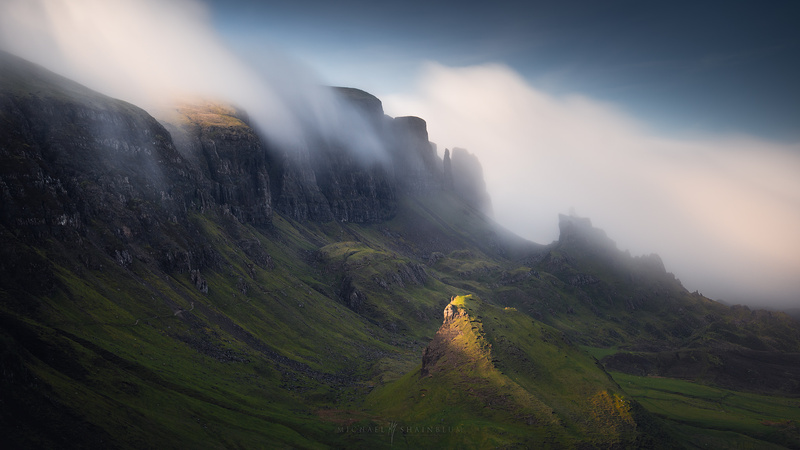 I have a special feeling when I see a pics of that islands of Scotland. I was living in Edimburgh a few years ago and I a trip in that isle was the most special thing I ever did there.